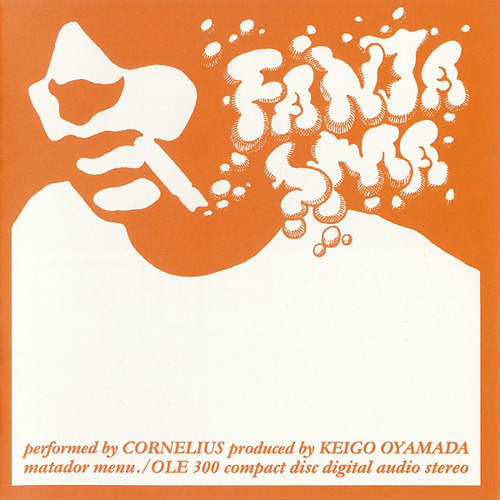 This week, Probably Just Hungry is featuring a hidden gem of the ’90s, Cornelius’ Fantasma. Cornelius, otherwise known as Keigo Oyamada, is a sculptor of pop music, and his tactics have garnered comparisons to Beck. It’s going to be strange listening to him at first if you’re unfamiliar with his body of work, but it’s undeniable that the man knows how to put together a hook and a harmony. He’s one of those brilliant but understated artists whose work seems to vibrate a part of your ear that sends sunshine down your spine. This entry was posted in Albums, PJH and tagged cornelius, fantasma, Matador, probably just hungry by Brandon. Bookmark the permalink.